Your wedding day is one of the most important days of your life and you should do what you can to make it special for yourself, your spouse and your guests. 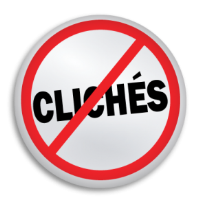 Unfortunately, it is also very easy for a wedding to fall victim to some horrible clichés. People seem to have an idea of what should be at a typical wedding, and the sad fact is that many of these ideas have become trite and dated. If you want your wedding to be truly unique, you would be wise to take heed to these 4 Alternatives to the Worst Wedding Day Clichés. If you’ve been to at least a few traditional weddings, you’ve no doubt heard the Canon in D by Johann Pachelbel. Even if you’ve never been to a wedding in your life, you’ve probably heard the Canon in D by Johann Pachelbel. It is a beautiful piece of music, but it is also played at a lot of weddings. The same goes for The Wedding Marches by Richard Wagner and Felix Mendelssohn. They are forever associated with getting married, and it’s a safe bet that nobody really wants to hear them anymore. Instead of the same old music that gets overplayed, pick out songs that actually mean something to you and your spouse. Even if your favorite songs don’t sound like traditional wedding music, there are bound to be some Pittsburgh wedding DJs who can find some nice arrangements that will still sound beautiful and suit the occasion. Musical clichés don’t just apply to the wedding ceremony, either. Often, it seems like there is a standard playlist for wedding receptions as well. This includes alleged crowd pleasers such as The Chicken Dance, The Electric Slide and Every Breath You Take (a song about a creepy stalker, incidentally). You can almost set your watch by what gets played at a typical wedding reception, so find some Pittsburgh entertainers who aren’t afraid to dig up some more obscure yet memorable music for your reception, especially if it fits you and your spouse’s personalities. Not only do a lot of people find this kind of tacky and cliché, but it could ruin makeup, hair and clothing. Sharing a piece of cake with your spouse is cute, but there’s no need for you to shove cake into each other’s faces. The best part about photography is how it captures a moment in time. Some setup and posing before a wedding photo is fine, but going too far to achieve the perfect wedding photograph just makes things look and feel awkward. A few candid photos of the happy couple and their guests having a good time is much better. This isn’t always on the wedding planner or the couple getting married, but jokes about “the ol’ ball and chain” went out of style years ago. And yet, people still think they’re hilarious when they imply that the groom doesn’t want to be at his own wedding. If you’re planning your own wedding, don’t try to make this joke in photos or anything else. It stopped being funny years ago and comes off as kind of tacky and offensive now. No good Pittsburgh wedding DJ or entertainment service would make those jokes, and neither should you. 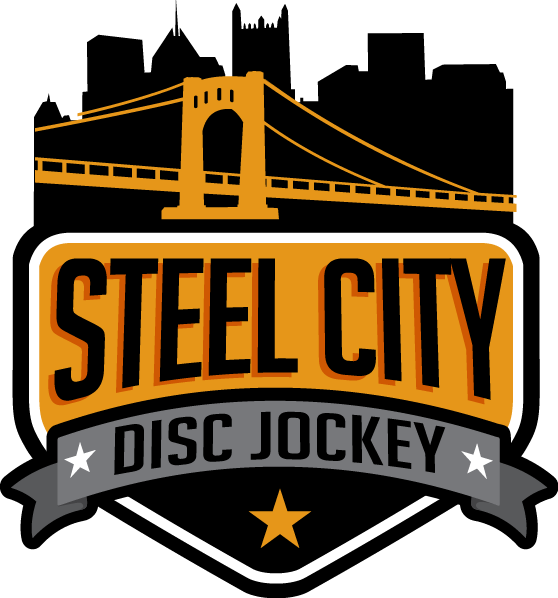 Make your wedding one of a kind with help from the Pittsburgh entertainers, photographers and wedding DJs at Steel City DJ. Featuring some of the best entertainers in the industry,Steel City DJ has the knowledge and expertise needed to take your wedding day to a whole new set of heights and leave your guests raving for years to come. Contact Steel City DJ today, and discover how we can make your special day truly a once in a lifetime affair.